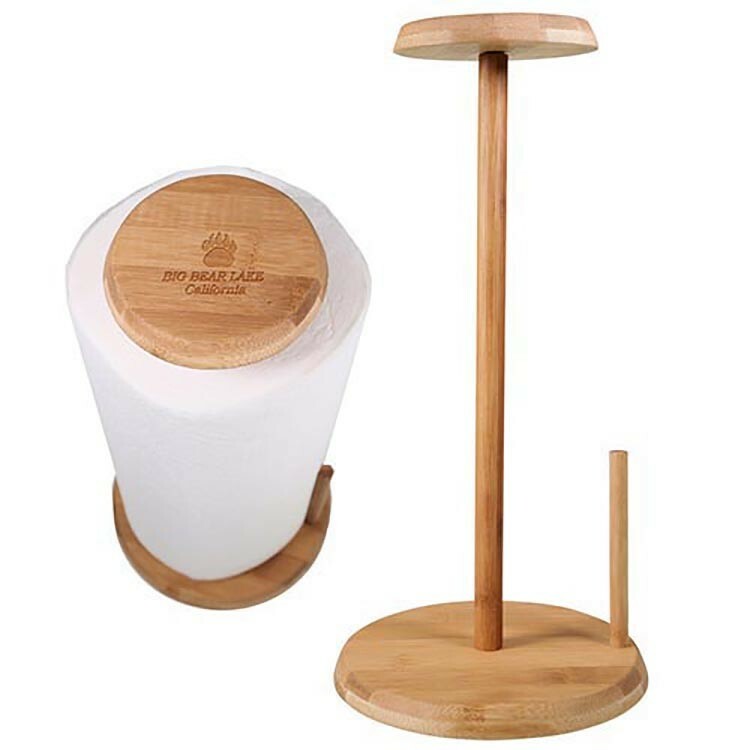 Our bamboo paper towel holder is sustainably farmed, eco-friendly, sturdy and attractive. It holds 1 full roll of paper towels and is simple to assemble. Its natural color will blend perfectly in any atmosphere.